There are tons of choices in all shapes and sizes when it comes to beauty subscription boxes. 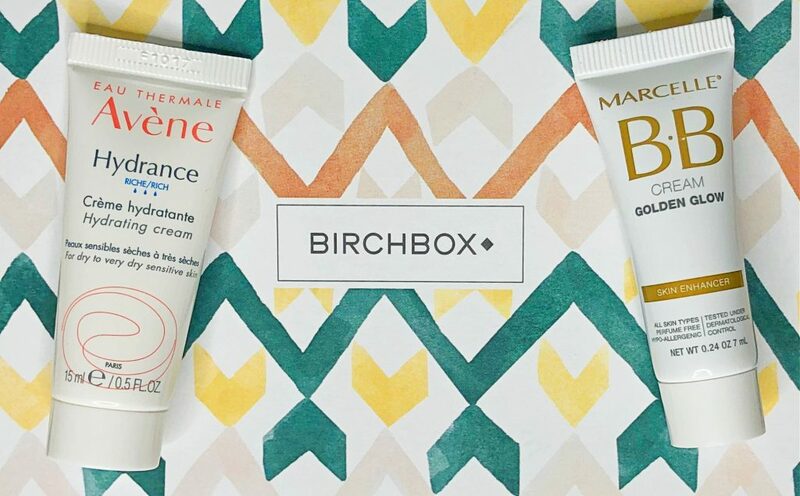 Birchbox is an affordable option that I’ve subscribed to for a few months now and have liked so far. They provide around five beauty, skincare, or haircare sample products each month. At just $10 per month, it’s one of the cheapest subscription boxes on the market. Plus, they’ll customize your box based on your beauty preferences, so you get the types of products you want. 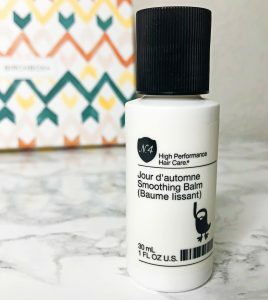 This Birchbox review shares my November unboxing, savings opportunities for this already inexpensive subscription, and similar beauty boxes you might like to check out as well. 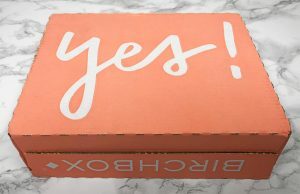 As with my previous Birchbox shipments, this month’s box arrived in one of their adorable pink shipping boxes that says “yes!” on it. The monthly box for November was inside, which had a cute design as well. The colors were fitting for the season. Inside, I received five samples that I’ll be sharing more about below! I’ve used a few BB creams before but have yet to find one that worked well for me. This one is advertised as a face cream, primer, skin tone corrector, and illuminator all in one. I’m glad I came across it—it’s the best that I’ve tried! It gives me a slight glow while subtly covering imperfections. It obviously doesn’t conceal as well as a high-coverage foundation, but it did surprisingly well. Since it’s a moisturizing product, it probably wouldn’t be good for people with oily skin. I have dry skin, though, and it worked great! I love that this moisturizer has SPF because it’s still sunny where I live, and I never remember to put on sun protection (unless it’s in a product I already use). This product moisturized my skin pretty well. While I liked it, I don’t think it’s worth the price—you can purchase better for $32. I received a shampoo and conditioner from this brand to try out in a previous box. 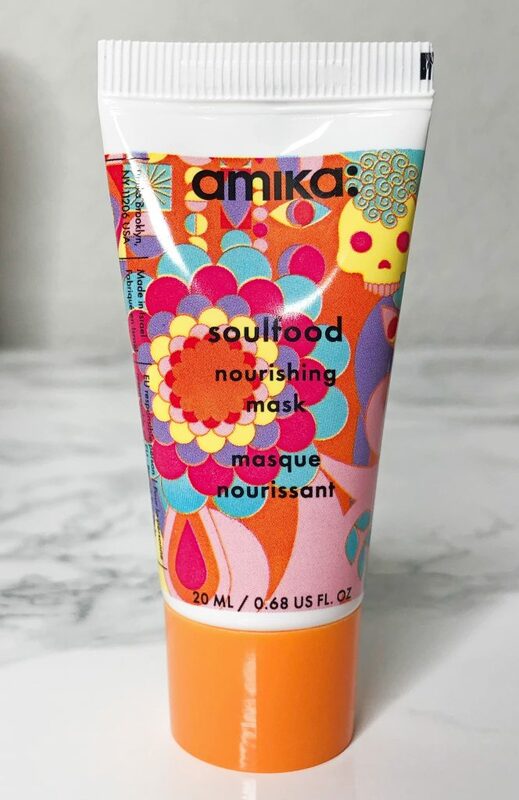 Although those didn’t do too much for my hair, this mask worked much better. I noticed a difference in my hair after using it—it felt more soft and moisturized. It even looked less damaged! Sadly, there was only enough for a couple uses. 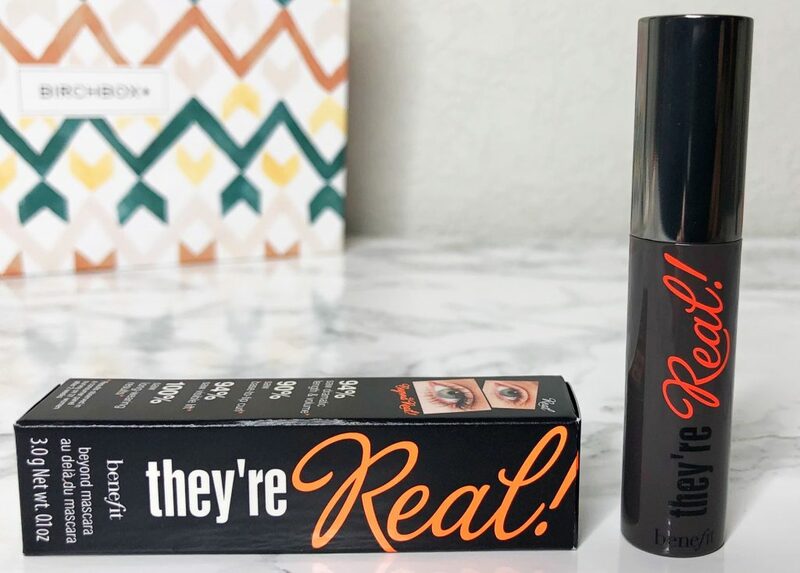 I’ve tried this mascara in the past, but I don’t remember how I liked it. It’s very popular, and I’ve been meaning to try it out again. Plus, I love mascara samples because they last longer than most others. This one worked really well; I see why it’s such a popular product! It gave my lashes incredible length and volume. This is the second hair product I received in this month’s box. Although I love trying new ones out, I rarely purchase products for my hair. Because of this, I prefer to try out skin care and makeup items. However, this smoothing balm worked pretty well! It tamed any frizz that my hair had and didn’t look greasy. 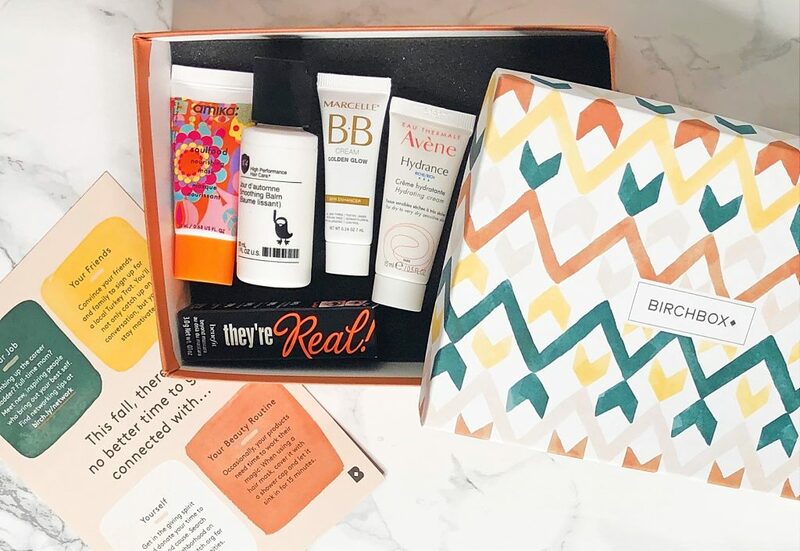 Birchbox is already one of the cheapest subscription boxes you can get, so there aren’t usually coupons to save money with their monthly subscriptions. However, there are other ways to save! For one, you can subscribe annually to save $10. The only catch is that you have to pay upfront. 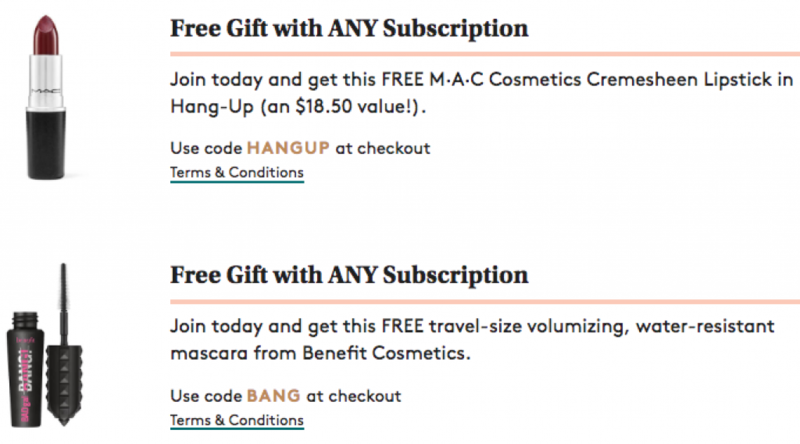 They also almost always offer a free gift with new subscriptions. This will probably be something small like an extra sample, but it’s still nice. Additionally, you can review the products you received each month to earn rewards points. You can then redeem these for items in their shop! Although it takes a few months to accumulate a good number of points, it only takes a few minutes to complete each month, so it’s definitely worth it. Since subscription boxes for beauty products are one of the most popular kinds out there, there are plenty to choose from. 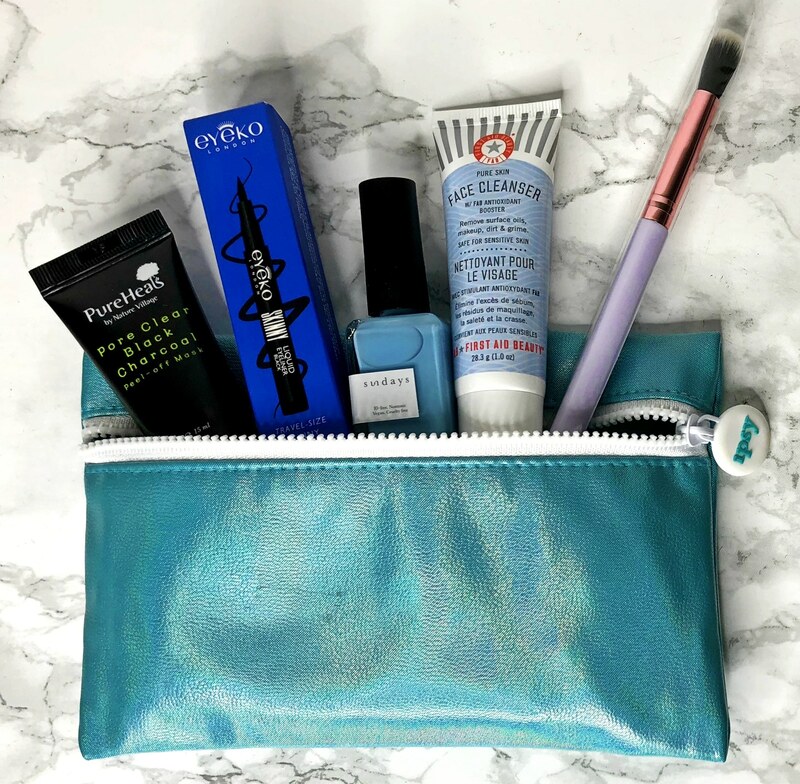 I’ll be sharing a few here to compare with Birchbox, but we also have a much longer list of the best beauty subscription boxes, which you might want to check out! If you prefer inexpensive beauty boxes, there are a few more to choose from other than Birchbox. Ipsy, for example, is one of my favorites. Like Birchbox, they provide around five sample beauty and skincare products for $10 each month. However, a unique trait that sets them apart from other boxes is the reusable makeup bag that they ship their products in! These have a different design each month and can be used for anything. If you’re fine with spending a little more money each month to get a better value of products, Julep is a great choice! 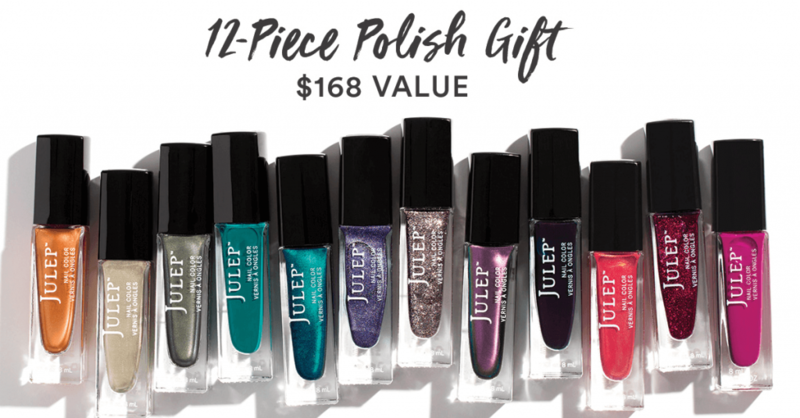 For about $25 per month, you’ll receive a box with 3–4 full-size products from the Julep brand. You could receive nail polish, makeup, and skin care products—all of which are fantastic and last forever. They offer amazing introductory deals as well. You could get your first box for free or (if that deal isn’t available at the time) get a free full-size beauty or nail polish set with your first box.